It’s another Throwback Thursday! The special historical editions we published in January and July 2015 were among our most popular ever, so we figured we’d throw another one out there. 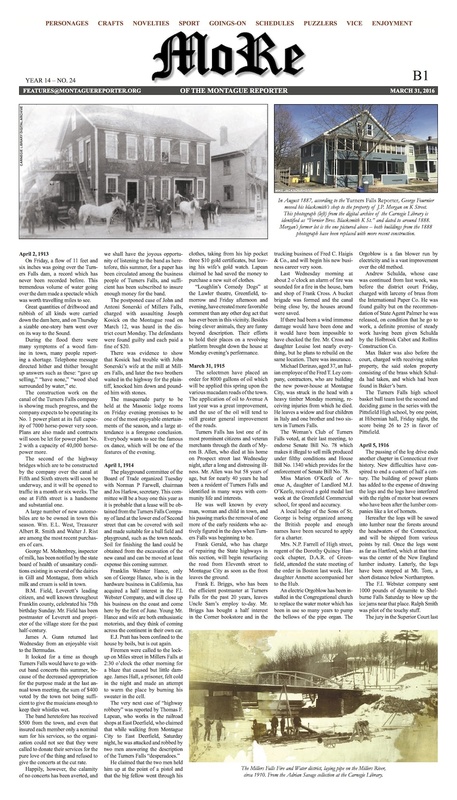 This time, we showcase coverage from our paper (and its predecessors) of the March 31 to April 6 week, all the way from 1873 to the present. N.B. : Mixed in with the old news is one item of our own devising to mark April Fools’ Day — or, as they called it in 1873, All Fool’s Day. Think you can spot the fake story out of all the bits and pieces we’ve assembled? 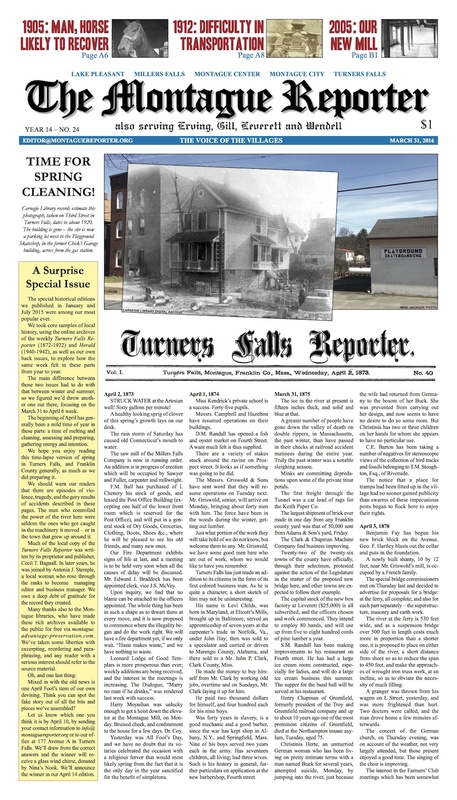 Let us know which one you think it is by April 10, by sending your contact information to info@montaguereporter.org or to our office at 177 Avenue A in Turners Falls. We’ll draw from the correct answers and the winner will receive a glass wind chime, donated by Nina’s Nook.